KnitPro's Basix Birch circular needles in birch wood.The needles display the natural properties, strength as well as the beautiful, bright color of the birch tree. The cable transitions are smooth so the masks slide effortlessly over the pins without sticking at the junctions from pins to cable. In addition, the cables are flexible and resilient so they can easily fold together without risk of cracking. 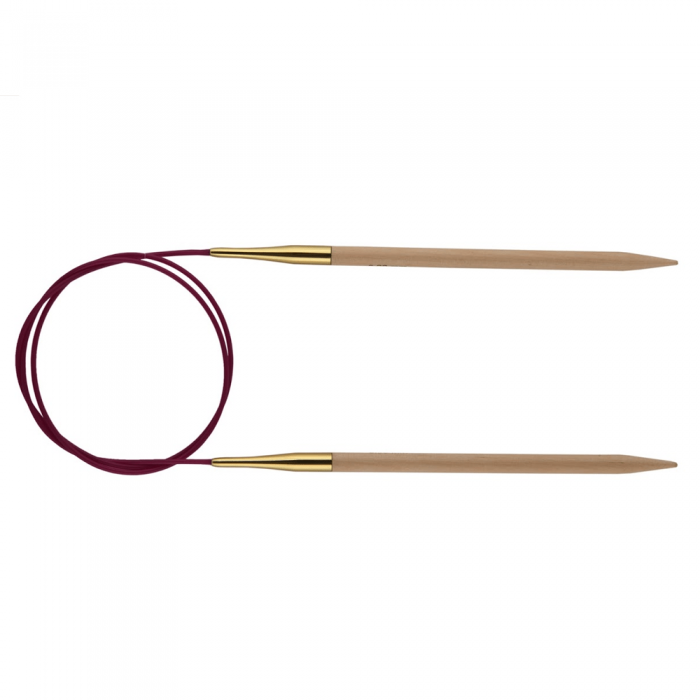 Birch circular needles are ideal for thicker yarn as they slide easily through the stitches without tangle the yarn. The needles are available in six different lengths: 40, 60, 80, 100, 120 and 150 cm, and in sizes from 4-25 mm, needless to say, there are needles for any project. The comfortable natural material makes the needles comfortable to use and you can knit for hours without sore hands and fingers.